Mary studied Law at Queen Mary College, University of London, followed by her qualifying exams at Bristol Polytechnic. She qualified as a Solicitor in 1980. Mary joined Hatchers Solicitors in October 2011. She had previously worked for Henry Lees where she spent 20 years as a partner in the Wills and Probate department. After a period of time abroad, Mary re-joined the firm as a Consultant Solicitor in the Wills and Probate Team following the merger between Hatchers and Henry Lees Solicitors. Having spent 20 years working she specialises in dealing with Wills, Trust and Estate administration matters, Inheritance Tax planning, and affairs of the elderly. Mary continues to demonstrate her Inheritance Tax expertise throughout the course of her practice. In particular she has recently successfully argued for Agricultural Property Relief in a complex farming estate where HM Revenue & Customs had rejected the original arguments made for Agricultural Property Relief. 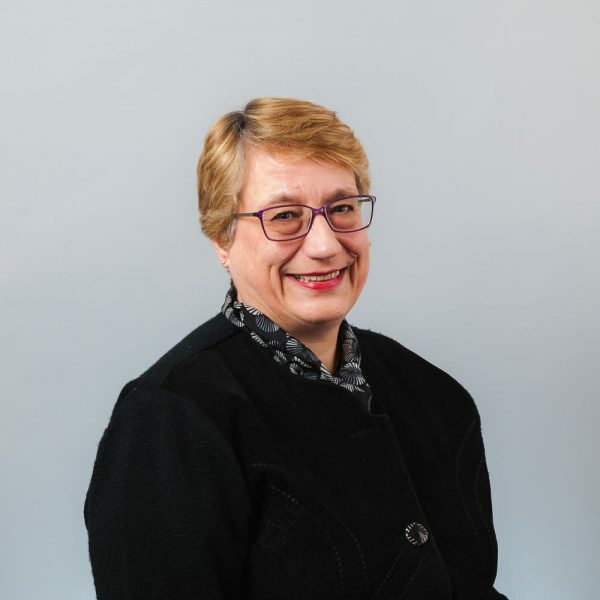 Mary is a member of STEP (Society of Trust and Estate Practitioners) and a Committee member of the Shropshire Regional Group of SFE (Solicitors for the Elderly). Mary tries to provide a compassionate service to clients at what is often a difficult time; she tries to ensure that families are not torn apart as a result of disputes over the terms of a will (or the lack thereof), and focuses on trying to reach agreement so that estates can be administered without added expense or distress; she takes account of individual needs, such as writing letters in large print for clients whose vision may be impaired; Mary attends clients at home, in hospital or care homes as well as in the office. She often liaises with accountants and financial advisers to ensure that the clients get the best ‘all round’ and most practical advice. In her spare time she enjoys swimming and scuba diving and likes to indulge in a good read. First job – working for the family grocery business. Favourite food/drink – a decent curry and a big glass of wine. Personal ambition – to complete an extensive tour of the far East. Likes/Dislikes – Likes: travelling Dislikes: discourtesy. Appearing before Lord Denning in the Court of Appeal as a newly qualified solicitor, when her notes of the evidence given at a county court hearing were relied upon as a transcript of that hearing in the context of the appeal. It was not usual at the time to have a court reporter in the county court, and Mary’s notes were approved by the judge for use in connection with the appeal, which she won. Sadly Mary’s note taking speed is not as good now!